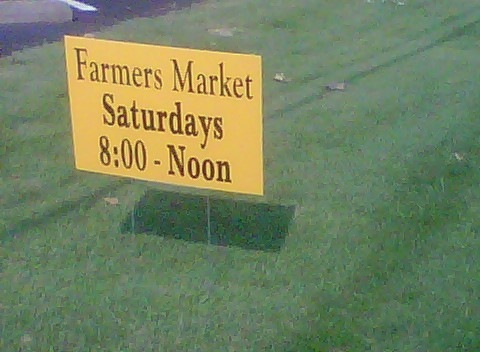 After my race on Saturday, I hopped back in my car and headed straight for the St. Matthews Farmer’s Market. I’d been wanting to go to one since they began a few weeks ago and I finally made it! This one is pretty small, so I did a quick lap to get a feel for the place and see if there was anything I needed to go back for. This place caught my eye! 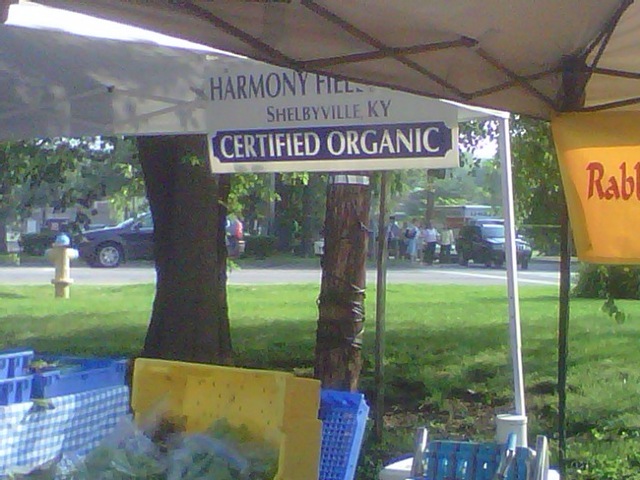 Shelbyville, KY is a mere 30 minute drive from my house, plus Harmony Fields Farm grows all their stuff ORGANIC! It doesn’t get much better than local AND organic. 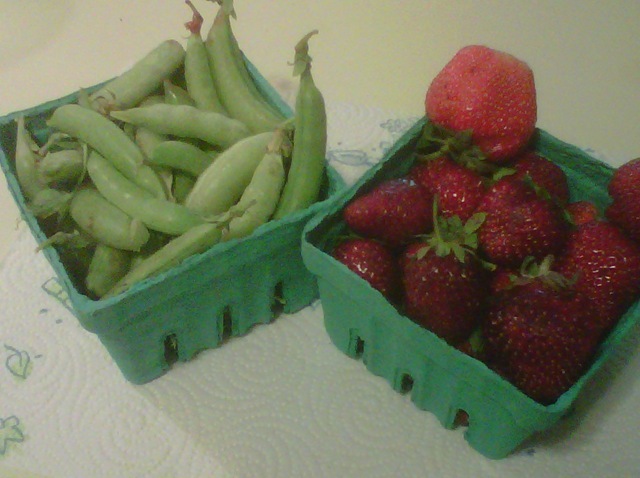 This week, they had strawberries, which I was told were picked on Friday, and sugar snap peas, plus some leafy greens. This cost me $9 but there is more in those containers than it looks like. Plus to know I’m supporting a very local farm that grows organic produce, not ingesting nasty pesticides, and the taste…totally worth it. I also found the Cake Flour booth. 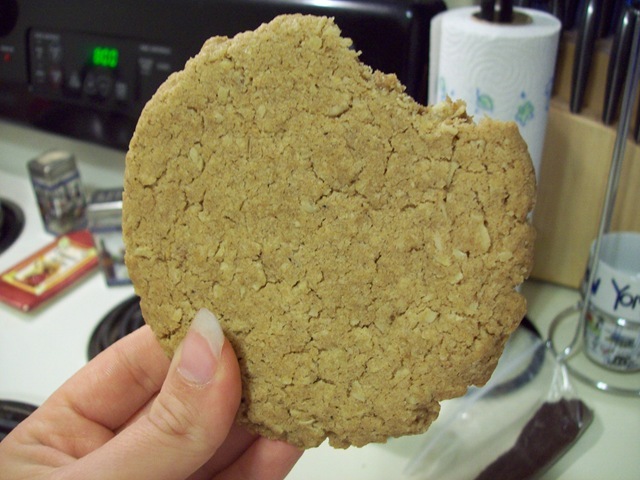 They are a local bakery that is kind enough to feature some vegan baked goods, like this vegan oatmeal spice cookie I picked up! It was delicious! I kind of wish I hadn’t eaten it already, ha ha. I will just have to go back next time! 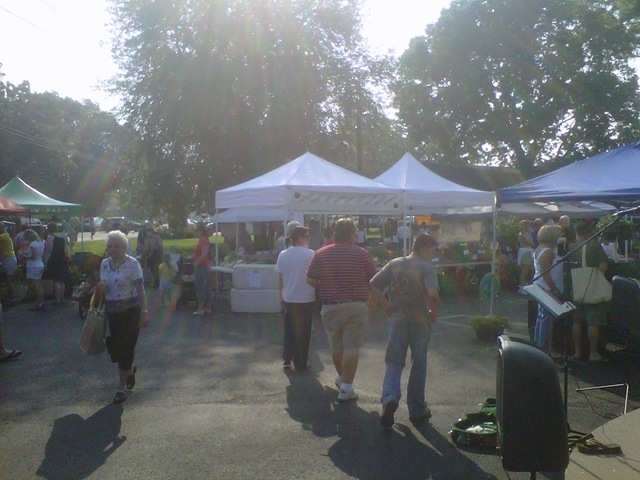 I’m hoping to check out some other Farmer’s Markets as the summer goes on but the St. Matthews Farmer’s Market was a good place to start. Do you shop at Farmer’s Markets in your area? 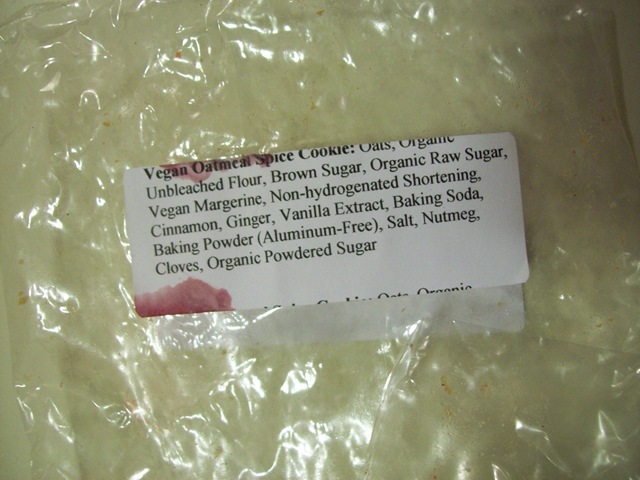 Posted on May 31, 2010, in shopping and tagged Cake Flour, farmer's markets, Harmony Fields Farm, Louisville, organic, St. Matthews Farmer's Market, vegan. Bookmark the permalink. 7 Comments. aww looks like a good day! I want to try to get to the farmer’s market more this summer; there are just so many good places to shop that it usually gets forgotten! I’ve been meaning to check out my local farmer’s market in central Florida. This just gives me more motivation to do so once I return there for school in the fall. Harmony Fields is where I get my CSA share from. The growers of Harmony Fields are awesome people. The other great thing about them, in addition to being local and organic is that they practice in no animal agriculture what so ever!! 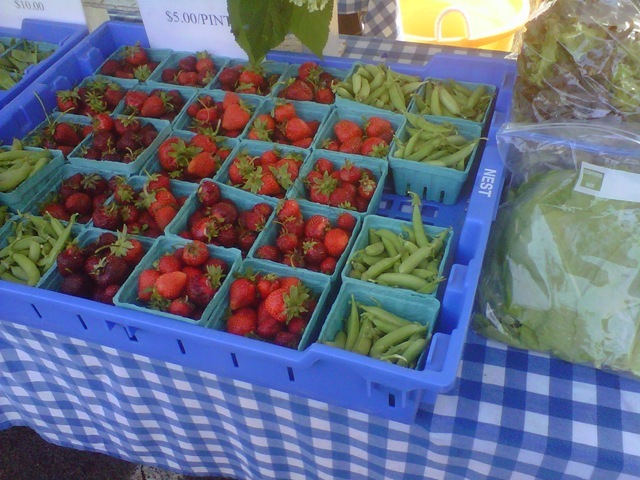 I love St. Matthews Farmers Mkt. It is by far the best one in town. 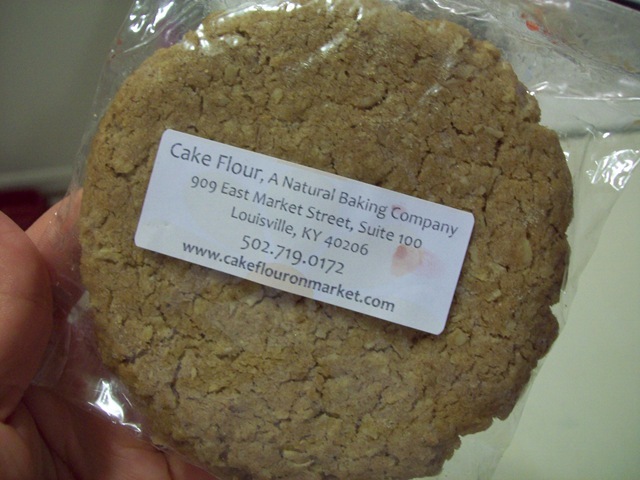 Those Cale Flour cookies are awesome aren’t they. Farmer’s Markets make me smile! That cookie looks delicious too! Congrats on your race as well! I am yet to go to a farmers market this year…I need to check it out and get some goodies.